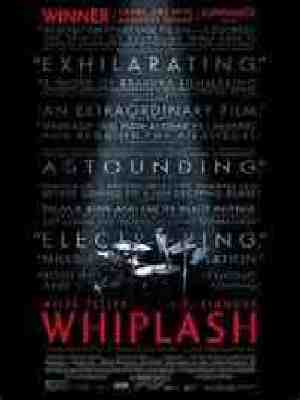 “Whiplash” is a winner in every aspect. You know when you want to go up to the screen and punch the bully or wrap the bloody fingers of the one being bullied that some strong acting is going on in the film. Fletcher wants the best from his students in the hope of finding another Charlie Parker and Andrew wants to be a great, if not better, drummer than Buddy Rich and both will do whatever it takes. Fletcher abuses his students verbally and physically calling them names, throwing things at them, screaming in their faces. He is every Marine Drill Instructor who will grind his charges into the ground to get what he wants. There are at least a minimum of 2 scenes that you will forget to breath and at least 1 scene where you will gasp out loud. There is no doubt both men will deserve nominations for all and any awards and right now they deserve to win! I don’t know if Teller did his own drumming but if he did he deserves recognition for superb drumming. The supporting players from Paul Reiser as Andrew’s father to Melissa Benoist who Andrew pursues, and then drops because she interferes with his drumming, along with the other students who play or compete with him are all topnotch . The music from the title song by the late great Hank Levy plus standards like “Caravan” and new music by Justin Hurwitz are all presented as jazz should be. It took me back to the jazz clubs on 52nd street, and in the Village, along with the sets at Birdland that I use to go to in New York City. The direction by Damien Chazelle is spot on and in his writing the screenplay he leaves out a few logical things but enhances the movie with a short 1 hour and 46 minutes. “Whiplash” is a winner all the way.